Thanks for all the support this past year. As a thank you for being such a loyal supporter please accept this advance release of the Double Agent Pack. 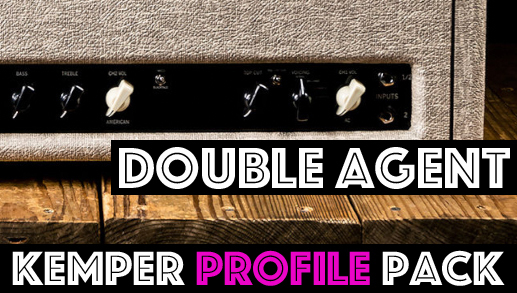 It profiles the 3rd Power Dual citizen and it is one of the best amps we have ever profiled. We have had tons of requests for this amp and we are glad we finally got our hands on one. One side is an AC style circuit with Normal, Bright, Top Boost 1 and Top Boost 2 modes. It also has a "M" mids contour which pushes the mids way up. The other side of the amp is Fender style with and without bright switch and finally two versions of the channels jumped together. This one is sure to become a favorite!